The Regular Route of the Mönch is an alpine classic for entry level alpinists. Squeezed into about 400 meters of gain is some easy rock scrambling, snowy ridge traversing, a steep (45 °) snow/ice step, and finally a very airy open snow face traverse to the summit. While rated PD, the route is not to be taken lightly as, like any alpine route, conditions make all the difference. Care must be taken on the final traverse when passing people, and the steep section can get busy. The route is easily done from the Jungfraujoch morning arrivals. 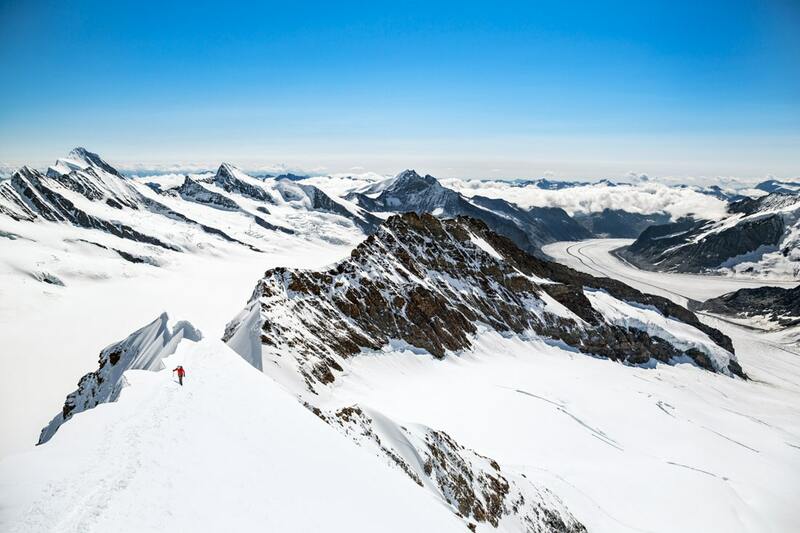 On a clear day, the route provides for massive views in all directions, from the flatlands of Switzerland to the north, to a clear shot south and most of the 23km long Aletschgletscher, the Alps longest glacier. TIP: Be sure to be on the first Jungfraujoch Train and quick to the base. You’ll want to stay ahead of the crowds at the steep section, but be warned, you may have the wait on the way down. Some people scope out the crowd, and wait at the base of the route to start at the perfect time. 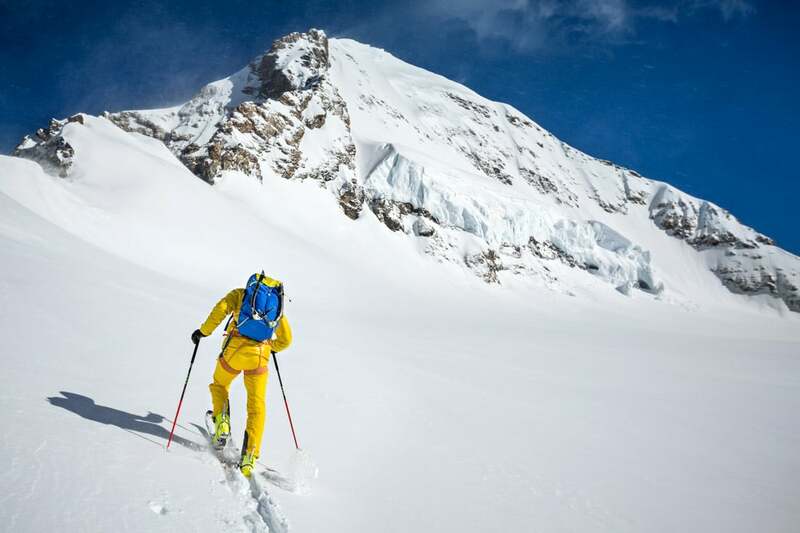 Ueli Steck headed for the Mönch. The East Ridge (Regular Route) is the right skyline. We don’t offer guiding but you can contact Grindelwald Sport. Have fun.